Hader is probably going to get some unpaid time off for his racist, homophobic and sexist tweets. He deserves that. Then he’s probably going to get a chance to move on and learn from this. He deserves that, too. 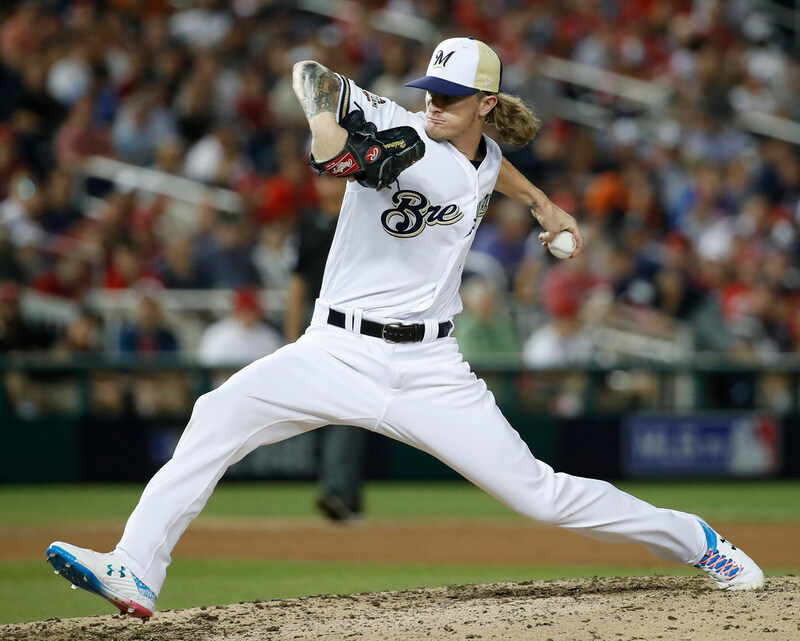 *By now you’ve probably heard about Brewers relief pitcher Josh Hader, who had a series of racist, homophobic and sexist tweets from several years back revealed during his MLB All Star Game appearance. Stories like this always elicit BIG OPINIONS, but I’ve come to the conclusion that in messy, complicated stories like this — an in this one in particular — the best thing to remember is this: pretty much everybody is sort of right, which means everyone is also wrong. But at age 17 or 18, a person also knows the basics of right and wrong. They aren’t fully formed, but they’re formed enough that if they write — and believe — things that are homophobic, racist and sexist they should be held accountable. Those giving Hader credit for talking about this after the game: We want those who err to take responsibility, and Hader used the first opportunity available to at least field questions and try to explain his behavior. That’s better than hiding, and it’s really the only way any sort of healing or understanding can begin. But too often media members judge athletes in these cases by whether or not they talk, and I suspect it has as much to do with right or wrong as it does with how it impacts their jobs. And at the end of the day, Hader answering questions doesn’t change what he did. It adds context, but it doesn’t erase the thing. Those blaming Hader’s representatives for not finding and deleting these tweets years ago: Yeah, agents or other reps have probably found things like this and erased them before their client became famous, and we’re none the wiser. That would have helped Hader’s career. But let’s keep our eye on the ball here. The fault isn’t with the person who didn’t delete the tweets. The fault is with the tweets themselves. Those who are blaming social media culture: This is a broad brush with multiple subcategories, but we’ve seen 1) Verified Twitter users complaining about searching old tweets and revealing them; 2) The piling on shaming nature of these kinds of stories; and 3) The “if they had Twitter, YouTube, etc. in my day I would have been in a lot of trouble, too” argument in Hader’s defense. On the first part: Maybe it is a little strange to find and reveal tweets from seven years ago, particularly given the All Star timing. But again, the problem is the tweets themselves. On the second part: Twitter does foster a herd mentality whereby if something is deemed to be BAD you must agree otherwise you are bad, too. So there’s some nuance to be found there. But in this particular case, it seems pretty clear cut that the tweets were in fact bad. On the third part: Yeah, I did a ton of dumb stuff as a bored teenager. But there’s a difference between dragging a shopping cart behind a car and having that cart put a dent in another car in the parking lot (which MAY or MAY NOT have happened. Prove it.) and expressing hate on social media. If someone dug up old footage that I had for some stupid reason posted online, had that option existed, people would say, “Wow, that was dumb.” And then I’d come to work tomorrow. Hader is probably going to get some unpaid time off. He deserves it. Then he’s probably going to get a chance to move on and learn from this. He deserves it. And maybe we’ll all move on from this a little wiser. We deserve it. What could the Kawhi Leonard trade mean for the Wolves?